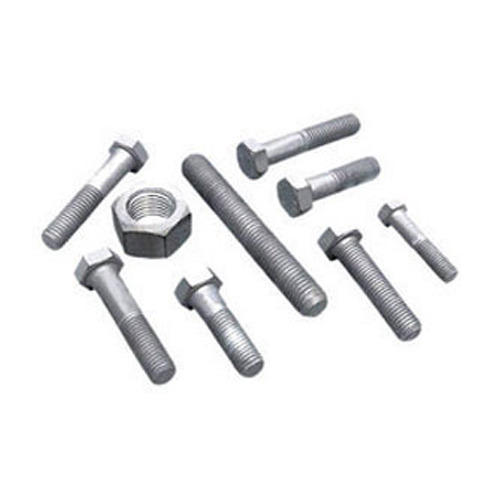 We are placed among the noted manufacturers, exporters of a comprehensive range of Galvanized Hex Nuts & Bolts. These Galvanized Hex Nuts & Bolts are manufactured in accordance with international standards using high grade raw material and latest technology. The offered nuts & bolts are available in different finishes and sizes to meet the varied application requirements. We offer these high quality nuts & bolts at market leading price to our precious clients. We are looking only for the foreign queries mainly from USA, Middle East & Europe. Incepted in the year 1993, at Ludhiana (Punjab, India), we, “MM International”, are a well-renowned manufacturer and exporter of a comprehensive range of Tractor Parts, Tractor Pins, Trailer Parts, Automobile Fasteners, Farm Machinery Parts, etc. Offered products are designed and manufactured using the finest quality raw material such as Mild steel, Carbon steel, Stainless Steel, Galvanized Steel, etc. These products are designed with high level of precision with the help of advanced technology in compliance with the international quality standards. We are exporting our products in all over the world. The offered products are highly appreciated by our clients for their features like fine finish, corrosion resistance, enhanced durability, robust construction, high tensile strength, flawless finish and dimensional accuracy. Available in various specifications, these products can also be custom designed as per the specifications provided by the clients.